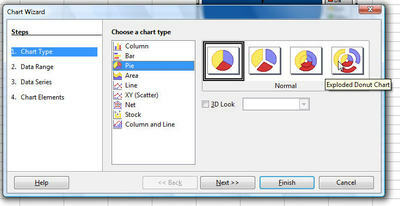 If you create your own chart, you can usually remember what data it came from. But what if there's a whole bunch of different data sets in the sheet; if there are many sheets in the spreadsheet; or if you just got a spreadsheet from someone who left the company to go teach yoga in Aruba and you have no idea what the spreadsheet is about? Here's your spreadsheet and a chart. 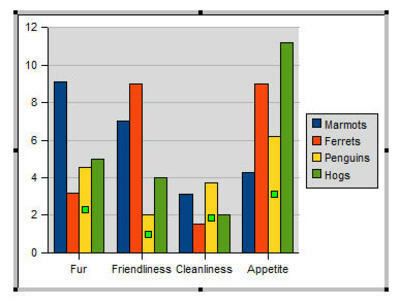 The person who created it didn't have the courtesy to even use the headings of the data in the chart so you've got no info about what the info is. 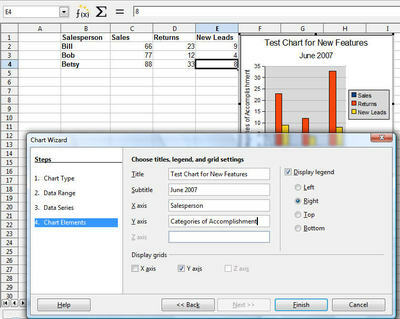 Double-click the chart and you'll see, highlighted, the cells the chart is from. 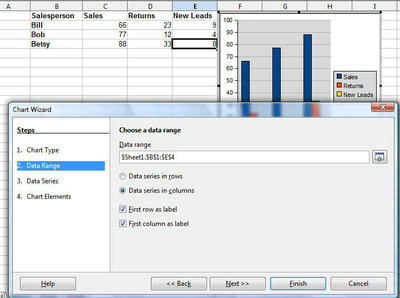 If you don't see anything highlighted you can right-click on the chart and choose Data Ranges. Then the range will appear. You can just look at it, or change it and click OK. 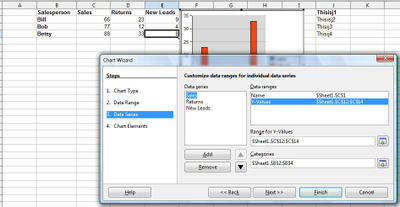 If you just want to change the data a chart is based on, you can drag. 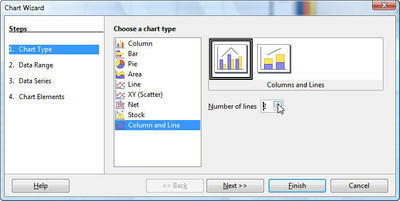 Select the cells and drag them onto the chart. 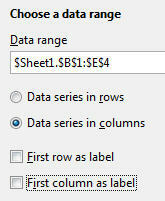 You'll be prompted to say whether the first row and column are labels, i.e. 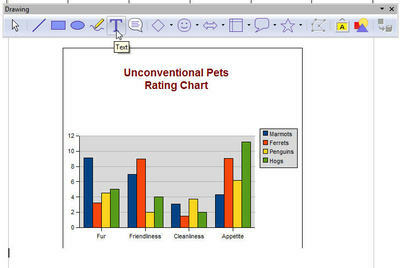 should they be used as titles/headings/labels in the chart or are they actual data. Make the appropriate settings and click OK.
You can now control where the axes intersect each other. Let's say you've got this data. 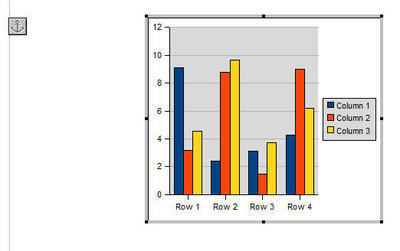 Inserting a normal bar chart you get the data below. 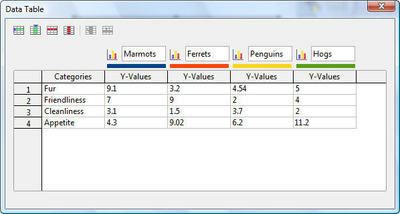 You can modify where the axes intersect and where the labels are. 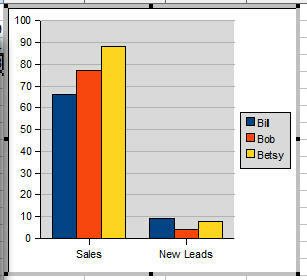 Double-click the chart, then click on an axis, I'm showing the Y axis first. 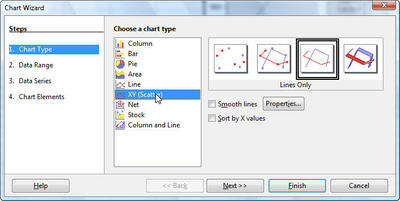 Be sure the axis is selected, then right-click on the axis and choose Object Properties. Now you have various settings in the Positioning tab. 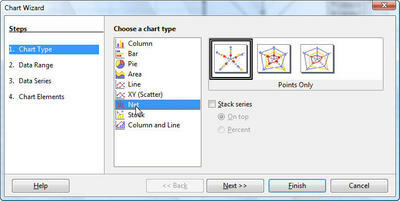 You can have the axis cross at the start, the end, or a particular category. Here's what it looks like (in the next screen shot) with End selected. The Y axis crosses the X at the far right, aka at the end. Here's another setting and the result. You can place labels at the outside start, and other options in that list. 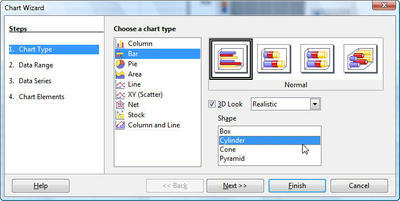 This can be useful especially for the X axis since the bars overrun the X axis. Here's what that setting looks like--outside start , or left, is the default. 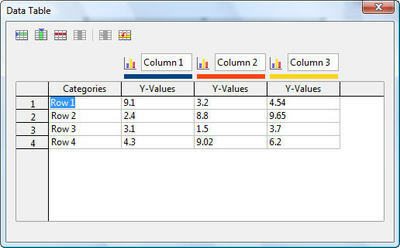 If you want to modify the X axis, click on that and choose Object Properties. 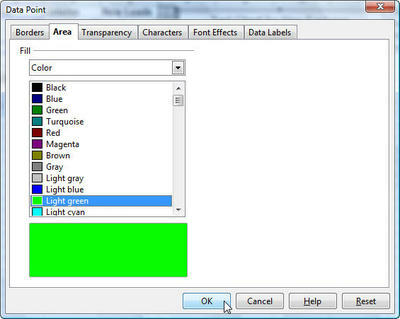 Heres's what another setting looks like. 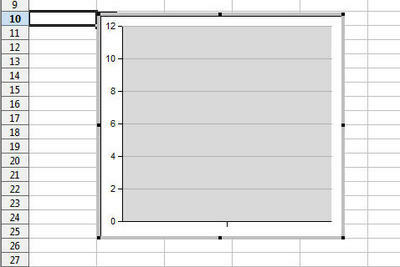 You can have the X intersect the Y at a value other than 0. And another setting. You can position the labels at the outside end. And the result, the labels are on the top instead of overrun by the bars. 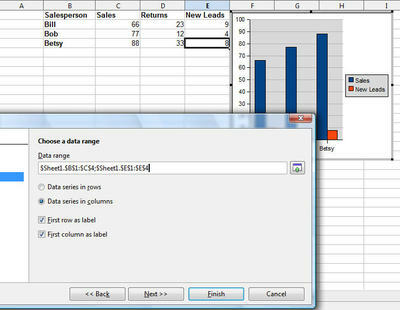 If you're missing data, you have three options now: skip the data, assume zero, or compute a logical continuation. Let's say you've got this data, with this line chart. 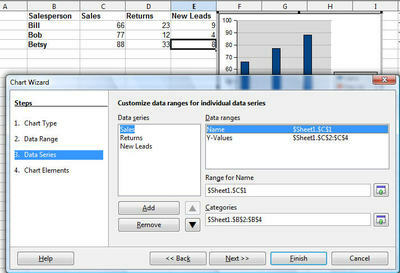 The default is to leave the missing data out completely. 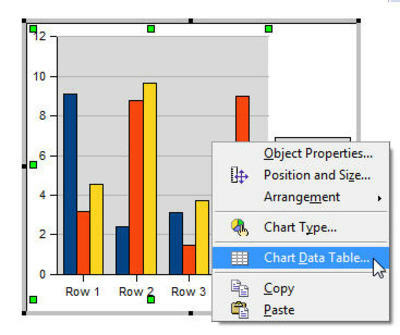 If you don't want that, though, you can double-click the chart, then click on one of the data lines, and choose Object Properties. 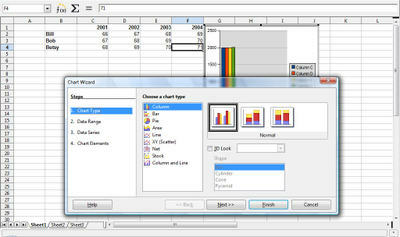 Select another option, such as the one setting all missing values to 0. That might or might not be what you want. The Continue Line option gives the best-looking, if maybe not the most accurate, results.